I believe that this is due to the infancy of the enterprise dashboard. In any technology where mass adoption is just starting to happen, you get an early rush of poorly designed products. However, this is not to say that the majority of dashboards have no value - in fact, I would insist on the opposite. No matter how poorly designed the dashboard, it stilll has value - even if it just serves to highlight that some data visualization is wrong or misleading. At least, it is a step in visualizing business intelligence. What will improve the look and feel of dashboards as they become more popular? Of course there will be pockets of great design in specific custom-built enterprise dashboards. In fact, there are several BI dashboards in the Dashboard Spy collection that are both stunning in visual design and correct in data visualization techniques. However, the mass improvement that we need in dashboard design will be led by improvements in data presentation controls in the commonly available toolsets. 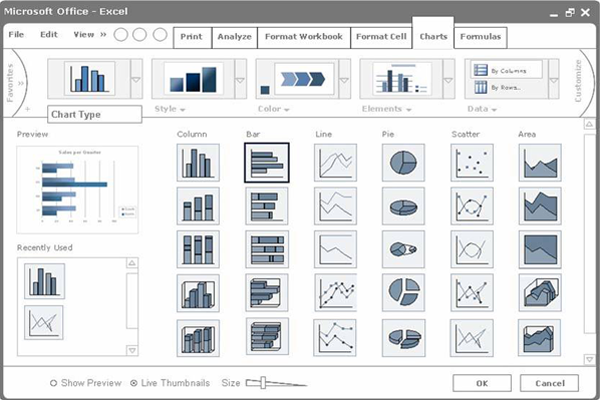 Excel, for example, is used by many in their first dashboard projects. The new version of Excel found in Office 2007 will be a mile stone in dashboard design. The look and feel of the graphs, charts, indicators and conditional formatting styles will flavor the design style of dashboards for years to come. 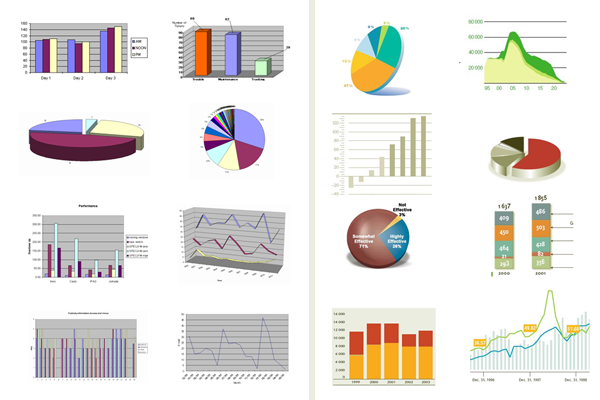 I have the pleasure of illustrating the design process of some of the charts and graphs in the Excel 2007 product by Microsoft. The release of Excel 12 is key to the look and feel of digital dashboards as now there is built in functionality for easy excel dashboarding. 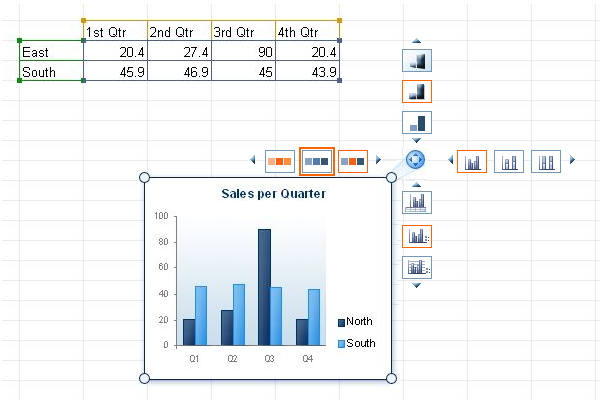 One of the user experience designers from the Excel 2007 team has posted some of his thinking and workflow in this excellent post on designing the look of charts in Excel 2007. Here we look at the workflow through this series of screenshots. Note: These screenshots all come from the post linked to above and are most likely representative of the Microsoft workflows and design deliverables. 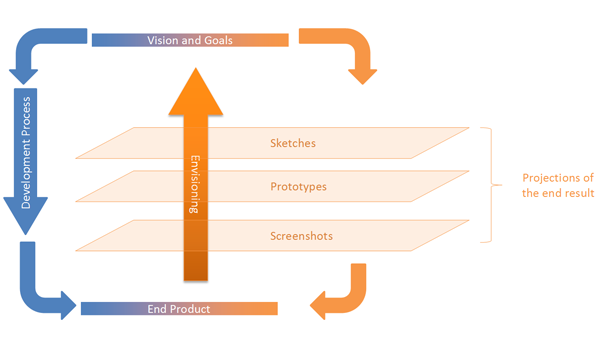 This image shows what the designer considered in terms of the existing design solution landscape for charts and graphs. 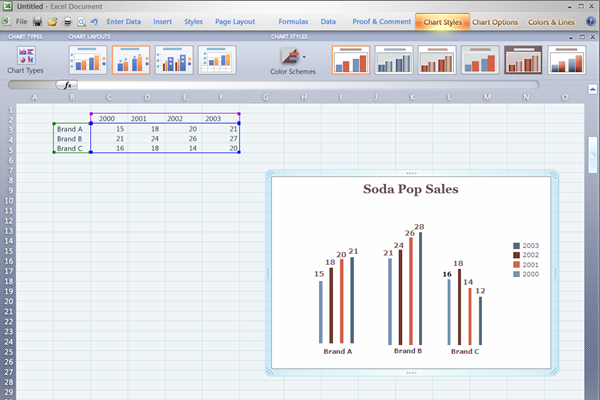 The left side shows existing Office 2003 excel charts. The right side is a collection of high-end custom designed graphics typical of the work ad agencies do for annual reports and other high end uses. When most changes are finalized, they create high fidelity mockups such as this one. Note the Excel environment. 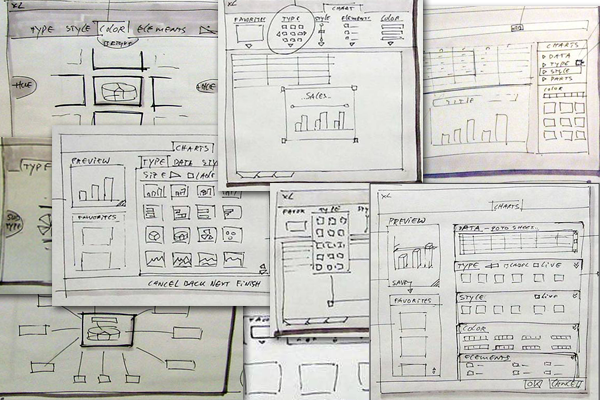 How does this design methodology match with yours? I’d say that with a few variations here and there, it is basically the same design cycle that we all go through. Send us some screenshots from your work flow for us to feature.